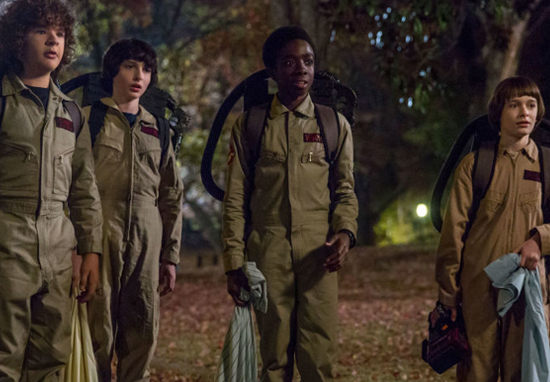 It seems the kids from Stranger Things seem to be growing in popularity by the minute. Despite not winning any awards at the Golden Globes, the hit show still holds a special place in everyone’s hearts – whether you admit it or not, you know you love them! For one of the actors in particular – a certain 15-year-old by the name of Gaten Matarazzo – his fan base seems to have reached the celebrities of Hollywood. Matarazzo, who plays Dustin Henderson in the hit Netflix series, is also in a band, called Work In Progress – in case you hadn’t heard. Recently, while performing at a gig in New Jersey, the group decided to cover emo band Fall Out Boy‘s, 2005 smash hit, Sugar We’re Going Down – good choice Dustin! When Fall Out Boy members Patrick Stump and Joe Trohman were interviewed by Pop Buzz for their verdict on Matarazzo’s band’s cover, they said they’d actually seen a clip of the performance and thought it was ‘really cool’. @WIPBandOfficial is game if @falloutboy is!!! Thanks for the love! @WIPBandOfficial is game if @falloutboy is!!! Thanks for the love! ? 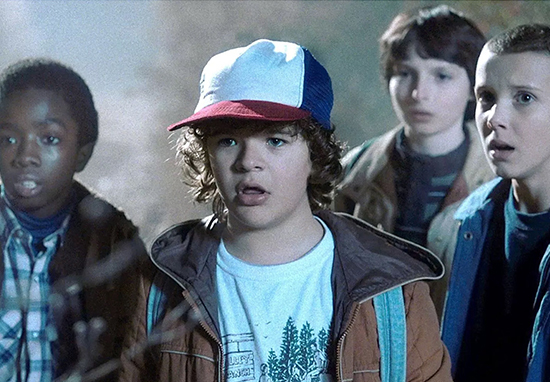 The Stranger Things star seems to be gathering quite the collection of celebrity fans of late. Prior to the public appreciation from Fall Out Boy, a similar act of kindness came from Paramore and their front woman Hayley Williams. She too said Matarazzo was welcome to join them on stage after she’d heard Work In Progress’ cover of their hit Misery Business. Dude!! Yesss!!!! Let’s make this happen! Thanks ❤️?? I saw your band’s Miz Biz cover and all i can say is: ‘open invite to crash a pmore stage and thrash those luscious locks around (& harmonize, obv) whenever the spirit (of rock) leads you. Dude!! Yesss!!!! Let’s make this happen! Thanks. Matarazzo’s music career has been matched by fellow Stranger Things actor, Finn Wolfhard, who recently performed with his band Calpurnia in New York. Acting and now music – is there anything these kids can’t do? 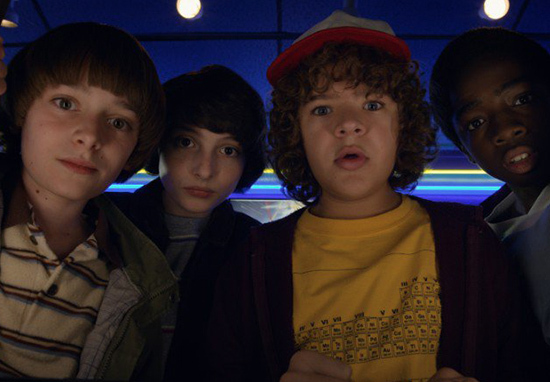 If you do adore Stranger Things, then unfortunately, you won’t be seeing the gang on your TV screens in the hit Netflix show until 2019, according to star David Harbour. I mean, one of the things that’s annoying for fans is that it takes us a long time to do them. Like, you probably won’t get [Season 3] until sometime in 2019. But also part of the thing is, like any good thing, they need time and those guys work so hard. I mean, they just sit in their apartment and write for 12, 14 hours a day. 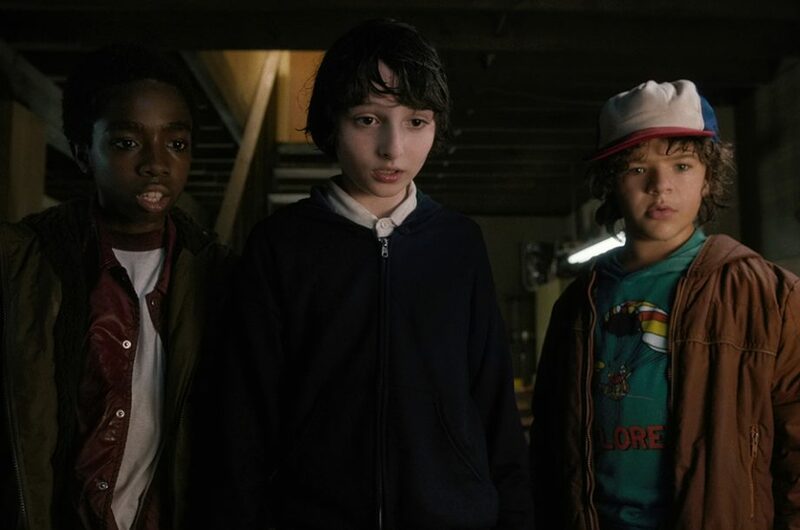 The shows creators, the Duffer brothers, have so far remained incredibly tight-lipped on exactly what we can expect from season three, though they hinted things would be ‘almost weirdly more intimate’ than Stranger Things 2 and ‘a lot of fun’.